Universal Pictures just bought the North American rights to the next film about a road trip, which debuted as its world premiere of this year’s Sundance Film Festival. 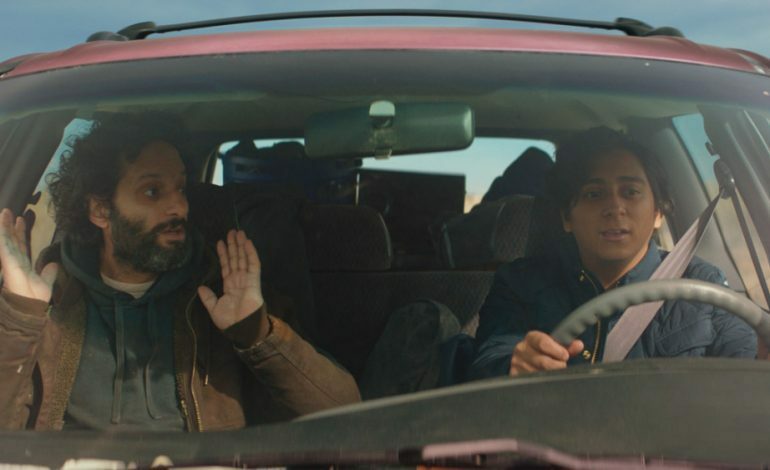 Directed by Hannah Fidell (We’re Glad You’re Here), The Long Dumb Road features Tony Revolori (The Amazing Spider-Man) as Nat, a college bound teenager who offers a ride to 30-something Richard (Jason Mantzoukas, The Lego Batman Movie). Nat’s goal as an aspiring photographer is to find the real America en route to new beginnings out west while Richard is just looking for a connection in the moment as well as a beer or ten. Overall, the critic response from the premiere at Sundance was positive with specific praise on the pairing of Mantzoukas and Revolori. They also liked seeing Mantzoukas in a leading role. “The Next Great Road Trip comedy” was coined by the Film School Reject. The Long Dumb Road also stars Taissa Farmiga, Grace Gummer and Ron Livingston and was produced by Fidell, Jacqueline Ingram, Jonathan Duffy and Kelly Williams.